While there has been a general slowdown in sales in July, the Chevrolet Beat diesel from GM did exceedingly well, selling 5,200 cars in July. In general, diesel cars did well, and that’s evident from this analysis. Read on. The Chevrolet Beat until the launch of the diesel variants in July had mediocre attention from hatchback buyers. From January to June, sales averaged about 2,600 cars a month. The Beat, though available in four variants, all had a 1.2 litre petrol engine. And petrol cars have been falling out of favor with buyers. 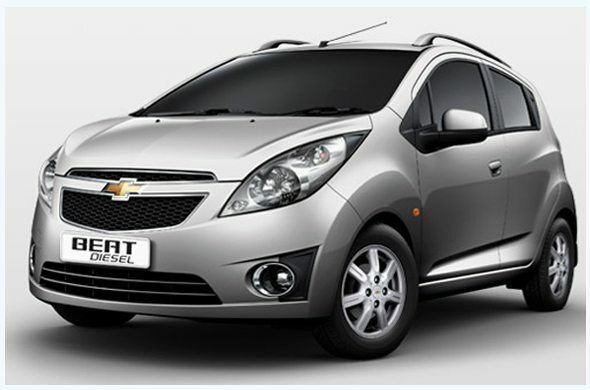 The introduction of the 1-litre diesel Chevrolet Beat, however, has changed the proposition for this car. Sales shot up to 5,255 cars in July, the highest that the Beat has ever sold in the past two years, according to company data. The Maruti Ritz, which now sells over 70% of its volume in diesel, has seen sales pick up by 39% from about 5,240 cars in June to over 7,300 cars in July, primarily driven by demand for fuel-efficient diesel hatchbacks. 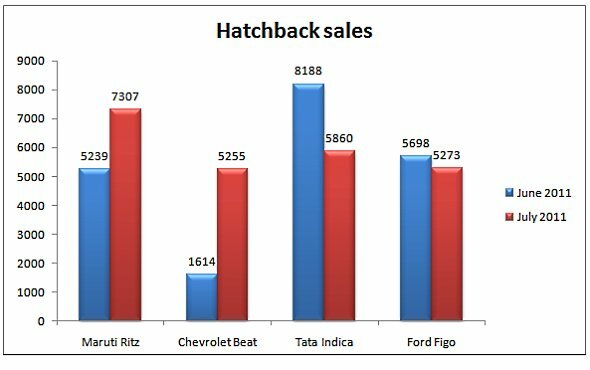 If you compare the sales of models that sell a mix of petrol and diesel hatchbacks to data from June, the Ritz has suddenly seen a spurt in demand, displacing the Ford Figo and the Tata Indica (it was the best-selling diesel in June). The Ford Figo, which has been a best-seller, has seen sales dipping in July also (as in the previous few months) because the company has not been able to produce as many diesel Figo’s as the market demands. Sales dipped about 7% in July compared to June. Among petrol-only hatchbacks, there’s been an overall average decline in sales of 17% compared to June, while the decline is not so much among models that sell a mix of both petrol and diesel cars. There’s only a 2% decline in overall sales of diesel hatchbacks compared to June. Clearly, those carmakers who have good diesels in their portfolio, and which now includes General Motors, have the potential to ride out the slowdown in the industry on more diesel powered variants, thanks to the large subsidies the government still provides on diesel fuel.